The Balconiers are the only supporters group to arrange trips to Championship matches on a regular basis, a point which makes most visiting counties very envious – and us very proud! The Balconiers have been arranging stay-away trips for over 44 years. Consequently, we have gained valuable experience that has enhanced our reputation for offering the best value with regard to executive travel and accommodation of all the 18 counties. This is something we are proud of and it is a testimony to the support given by you, the members, over all these years. No other County organize as many stay-away trips every season to Championship matches as the Balconiers do and have done so continually over 4 decades. I must ask you to be mindful of the fact that all hotels these days ask us to sign formal contracts for Group accommodation and this involves sending them a deposit with the contract − as you are aware the Balconiers have never insisted on a deposit with your booking as such bookings have always been taken on trust. Please be aware though that hotels now have a strict cancellation policy in that any cancellation made less than 28 days prior to arrival could be charged the full agreed rate .All cheques for trips should be made payable to: Daffodil Cricket Tours. If you would like to join any of the trips please download and complete the Daffodil Trip Schedule 2019(2) and return to John Williams. All supporters of the Glamorgan team are most welcome to join these trips including those supporters that live away from South Wales who have the option to join us on a hotel-only basis. The trips are always great fun and the continued support on the Balconiers’ travels is always gratefully received. Thank you for all your loyal support over the years. 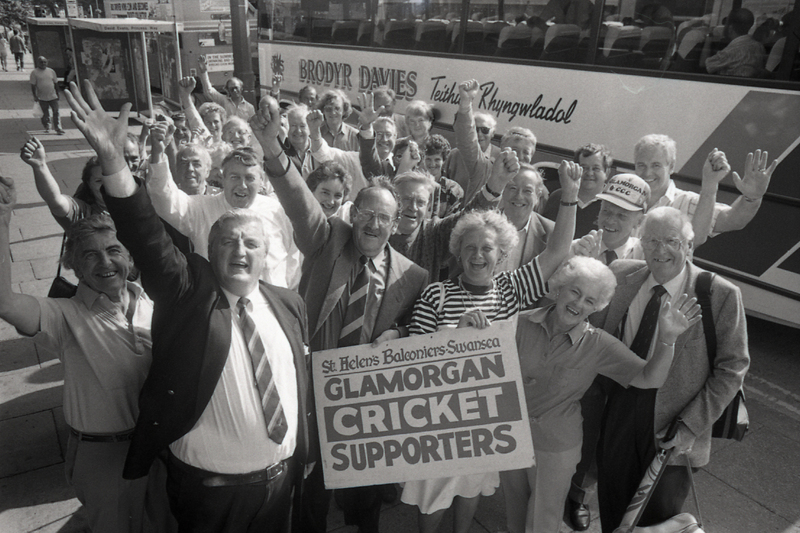 We look forward to your continued presence on the 2019 trips, which is always greatly appreciated by the Glamorgan team.